Customers may be added by a Partner or an Partner Employee. When you add a Customer it is Active by default. In general, Partners will add Customers after they have been notified that a new Customer has signed up and selected them as a Partner. In the Partner portal page, click Customer. Click the ADD CUSTOMER button. Optionally, provide the email addresses for sales team members. This will be how WAVE accounts for sales promotions. Provide WAVE with the most up to date information about the Customer. In COMPANY NAME, enter a name for this Customer. In COMPANY ALIAS, enter an alphanumeric identifier for your Customer. This is used for Partners with Portal Access to log in to the Portal. In Phone, enter the phone number of the primary Customer. This will be used for contact information about WAVE. 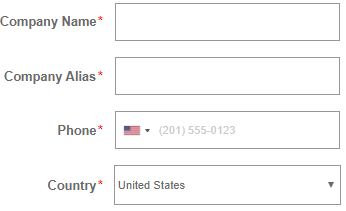 In Country, select the Country for the Customer. This relates to billing information. In the Customer Admin User section, create a Customer Admin User. This is the same as a Customer Employee. The Customer Admin User will be the default Administrator for this account and capable of editing Users, Talkgroups, and Radio Systems via the WAVE Portal. In First Name, enter the first name of the Customer User Admin. In Last Name, enter the last name of the Customer User Admin. In Email, enter the email address of the Customer User Admin. 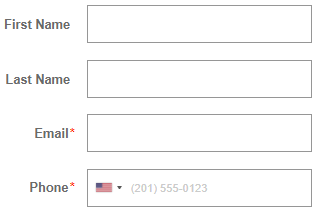 In Phone, enter the phone number of the Customer User Admin. Determine the greetings and access for the Customer. Select Send Welcome Email if you want the user to receive an email invitation to their new WAVE account with instructions for setting up a password and accessing their Customer account. Click and add the information for Add Technical Contact if you want to add an individual for the Customer to contact in case of questions. In the SUBSCRIPTION section, specify the details of the new Customer. In Number of Talk Groups, specify the number of Talkgroups allowed for this account. In Number of Licenses, specify the number of User Licenses. This controls how many Broadband Users may simultaneously login. In Radio System Type, select the type of Radio System this account will integrate with. Leave the selection as ‘None’ if this is a Broadband-Only account. On the REVIEW page, verify the information you have provided and then click the SUBMIT button. The screen returns to the first step in the Add Customers wizard. Add additional customers as necessary or click any other menu button. This completes the Add Customer Wizard. Repeat this procedure to add additional customers. Customers will be notified via email as to their addition.